Remarkable progress in Korea: How did they get there? A rise from rags to riches-literally- this is the Republic of Korea's story. Being one of the poorest countries in Asia almost 60 years ago, Korea has made amazing rapid transformation in its economic and development growth making it a pillar and beacon of hope in the Asian region and the world at large. With its Ministry of Foreign affairs announcing an earmark ofmore than 1-billion U.S. dollars for foreign aid next year,Korea plans to spend around 930-million dollars on direct bilateral aid in 2015, and about 280-million dollars in indirect aid through international organizations; 11 percent of portion targeted on agriculture and fisheries systems, reports Arirang News. "Korea's transformation from a post-war conflict stage to OECD membership in two generations is remarkable." How did Korea get there? What did it do differently? What can be learned and applied that would fit the context of different countries dealing with more or less the same problems that the Republic of Korea has dealt with? The Korean delegation humble in their response, reminded us that they are interested in teaching and learning from others. It took hard work, rising up again when they failed, and consistency in engaging communities to pull off the rapid transformation they have experienced. The delegation shared that the Korean government recognized early enough that it had to encourage and motivate its people in order to move forward. Agricultural cooperatives for example were set up as early as the 1960s and the government set up a savings campaign arming households with a way of saving their earnings. Rural development Administration offices were established; and this was an extension in transfer of technologies to rural farmers through selection from various villages; thus building a cooperative and communal spirit. Investments were made in the public sector not only with physical infrastructure, but by providing education for allwhich increased the literacy rate, enabling farmers in the rural communities to be empowered and innovative in competing for government support for their projects. 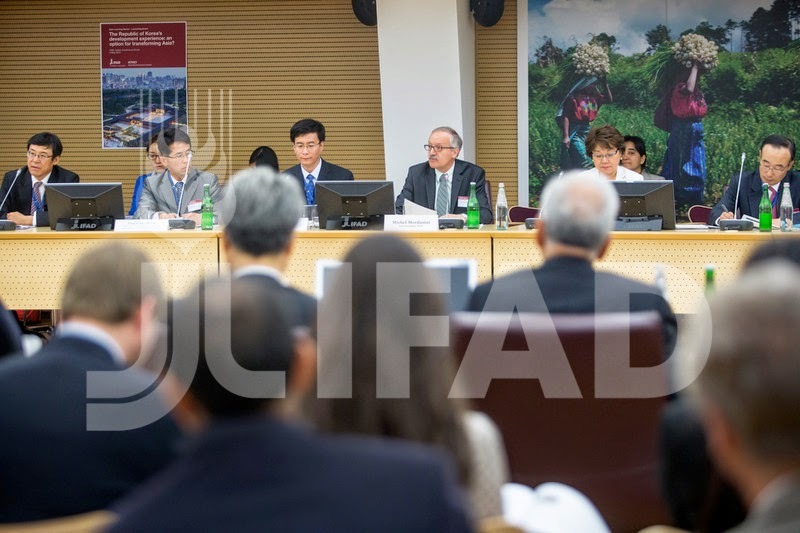 The Korean delegation admitted that access to rural finance was a challenge because of the land reform. In crossing that slippery bridge, Korea notes that overcoming that challenge brought about the green revolution and increase in production in a short period of time. The Korean government began a market expansion process and remained consistent in recognizing the rural markets. 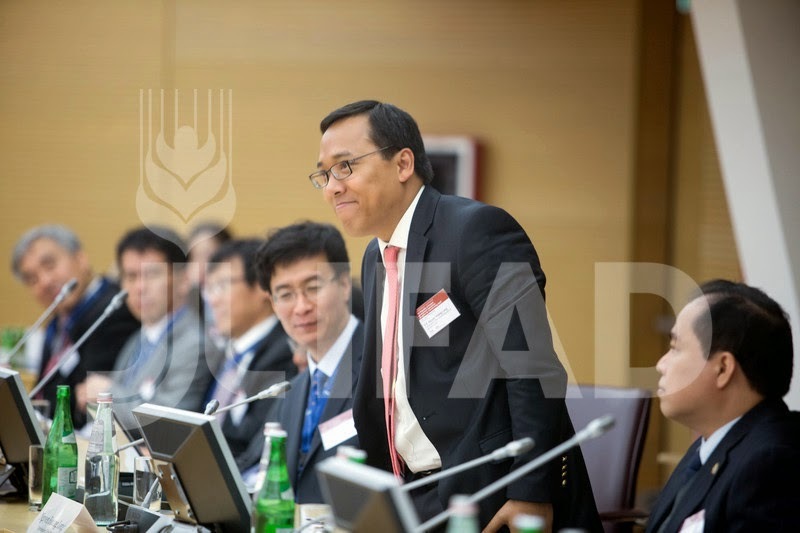 It is interesting that Korea's progress ties in with key elements of IFAD's post 2015 MDG goals as expressed by Acting Associate Vice-President of IFAD's Strategy and Knowledge Department, Gary Howe. Too good to be true? It does sound so. However, the Korean delegation admitting their faults and failures was reassuring and so other member states should not feel alone. It is in the getting up again after a fall that will be the true test of progress and prosperity.